Hardy Planting Zone 3-9, Light Requirement - Sun/ Shade, Mature Height 48"
Berry Plants Grab Bag provide abundant foliage and food in many zones around the country. Common berries include strawberries, blackberries, raspberries and blueberries, but there are additional species like mulberries (which grow on a tree), serviceberries and huckleberries, though those last ones are normally found in the wild only. Most raspberries and blueberries do well in zones from 2 or 3 to 7, and strawberries and blackberries like zones 3 to 10 and 5 to 10, respectively. But if you're willing to have a container garden, you could have annual or indoor plants in other zones. Note that several newer cultivars of raspberries and blueberries grow well across warmer zones such as those in Southern California. 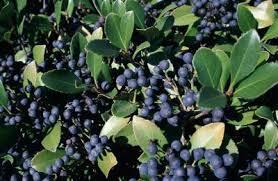 The four major berries all like full sun, and they prefer soil that is at least mildly acidic. 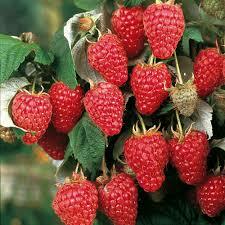 Raspberry plants tend to ramble; if you've got an empty trellis, the berries will love those. Strawberries are more compact and well-suited to containers or small patches in the garden. Blackberries come in trailing and erect forms and are prolific fruit producers. Blueberries attract birds, so protect these if you want the berries for yourself. Berry Plants Grab Bag is a great deal, especially for those who want something that is not only beautiful in your landscape but will provide you with some delicious fruit to make into jams, jellies, preserves, pies or just eaten right off the vine! In this package, you will give an assortment of five different plants that will correlate with your particular growing zone. What more could you ask for? This is also perfect for those who are new to gardening and will give you a right mix of different things to try out in your garden area.